We all suffer from stress and anxiety. Most of our chronic disorders are stress or anxiety related: backaches, migraines, digestive problems, insomnia, etc. Does this mean we have become more fragile? Does the world we live in create more anxiety than it did in the past? Even children, whose lives were once insouciant and without cares, now suffer from stress and anxiety  and more and more of them receive some form of psychotherapy. Stress that is poorly mastered can result in real anxiety, even among patients who were not previously susceptible to anxiety. Why? How can we protect ourselves? What can we do to protect our children? Once anxiety has become pathological, how can we choose from among the plethora of different types of treatment? The goal of this practical, compact manual is to enable readers to understand some basic stress mechanisms so that they can change the way they perceive and evaluate reality and thus lead more serene lives. The book is illustrated with examples from numerous clinical case studies. It contains practical advice as well as a series of tests designed to help readers understand their own temperament, control their negative feelings and accept the uncertainties of life. Dominique Servant is a hospital psychiatrist and the director of the "anxiety clinic" at the teaching hospital of the University of Lille. 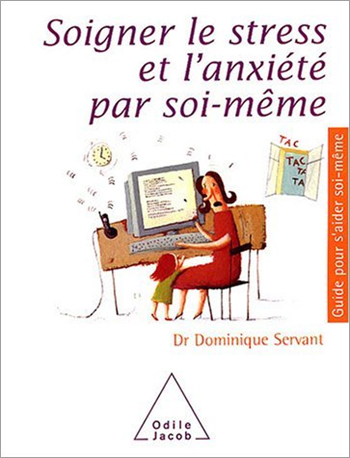 One of the founders of the French association of anxiety disorders (AFTA), he has written numerous works on anxiety, for specialist readers.